Welcome to Wear-a-Knit your #1 Choice for Custom Knitwear made in Minnesota! Wear-a-Knit is your “Made in the USA” manufacturer of quality, custom knitwear. All items are custom made-to-order at our facility in Cloquet, Minnesota. Our products consist of several different styles of headwear including Jersey Cuff Stocking Caps, Deluxe Cuff Stocking Caps, Beanies, Cross Country Ski Hats, and Earbands. We also manufacture Mittens and Scarves. Now More to Offer at Wear-a-Knit in Cloquet, MN! 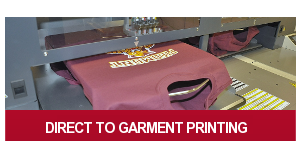 Stitch-It Designs, an Embroidery and Digital Direct to Garment Printing Company, gives you a wider variety of items to choose from. With all of the products offered through both Wear-a-Knit and Stitch-It Designs, we’re sure you’ll find something to your liking. Please contact our friendly Customer Service Department conveniently located in Cloquet, MN; when you are ready to place an order or with any questions you may have. They will gladly help you out in any way possible.